Enter your email and we'll give you 50 FREE PAINTBALLS for when you come paintballing with us! Our six paintballers who enjoyed a day out at Teamforce in Swansea over the weekend. Hope you all had a blast guys and hope to see you all again soon in the new year! This entry was posted in Paintball, South Wales, Stag & Hen parties, Swansea and tagged hen parties, hen party, paintball, paintball stag dos, paintball stag dos swansea, stag do, stag do ideas swansea, stag dos in swansea, stag parties, stag party, stag weekends, swansea stag do, swansea stag parties, teamforce, teamforce stag dos. 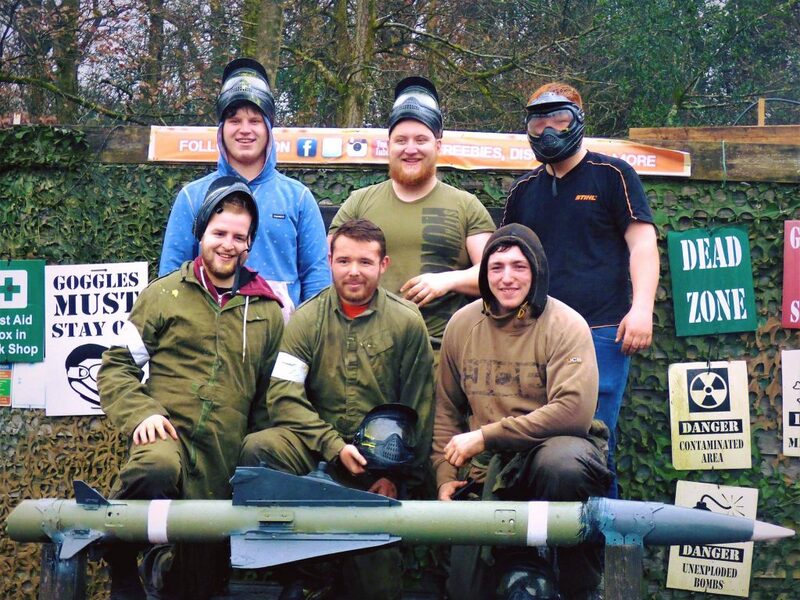 Teamforce Paintball offers fun & exciting paintball, junior paintball, archery & air-rifle sessions in Swansea. Action packed game zones, military realistic paintball equipment and more at our Swansea based paintball centre. Win a £5 Gift Voucher for Christmas! Paintball or Laser Tag, which do you prefer to play? Attack, hide or Run Away? All the info you need for the 2019 Six Nations! Enter your email and you'll be the first to find out about our freebies, discounts & giveaways for paintballing at Teamforce! Sorry, none of our staff are available at the moment. Please leave us a message. Need help with a booking or have a question? We're happy to help!